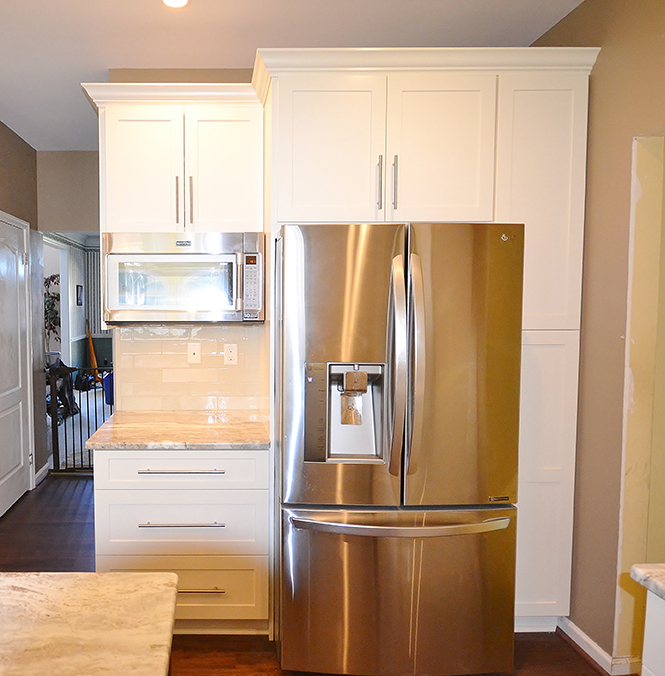 This customer’s mid-sized kitchen was in the need of an update. 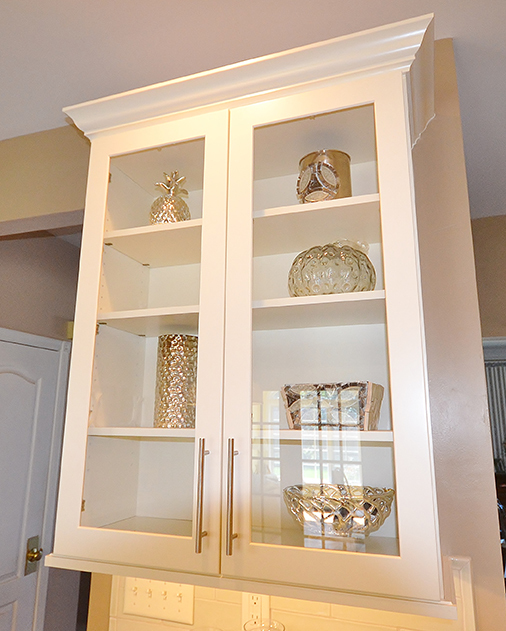 The new cabinetry is Fabuwood, the door style is Galaxy, with Linen as the paint color. Gorgeous island in the Fusion door style, with a Chestnut Stain. 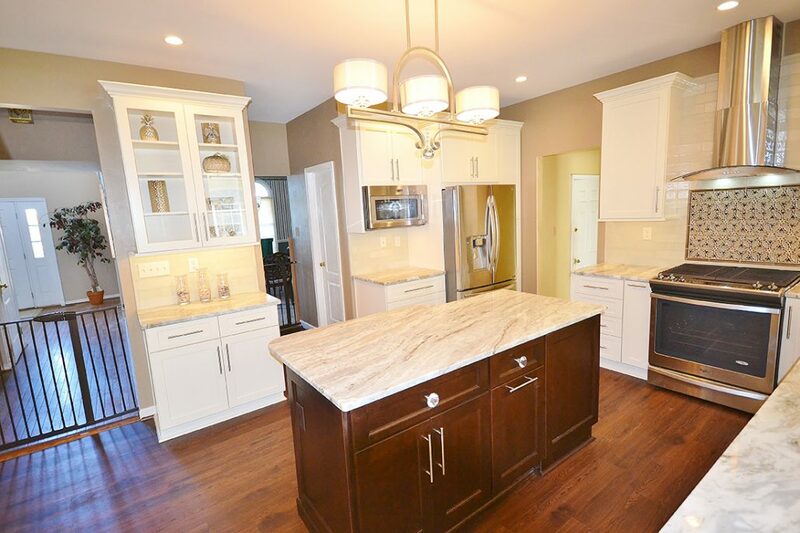 The Granite color is Fantasy Brown, which has become very popular with our customers. 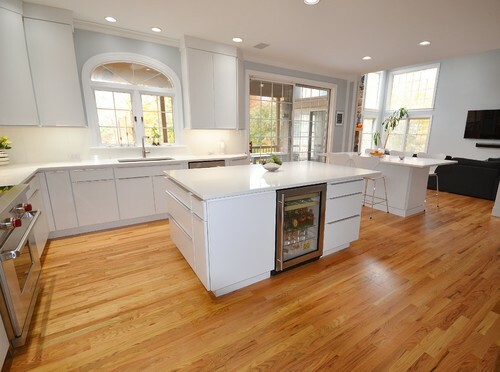 The flooring in the kitchen and living room was replaced with Fusion Flooring, in the color, Gunstock. 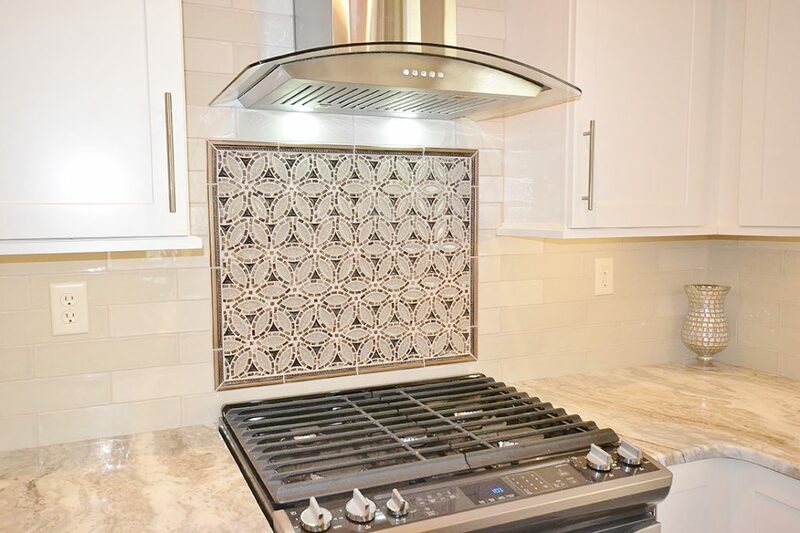 The tile is Nanacq, Antique Green 3” x 12” Subway style tile, with an accent area over the range, Glazzio TS961, which adds a nice effect. 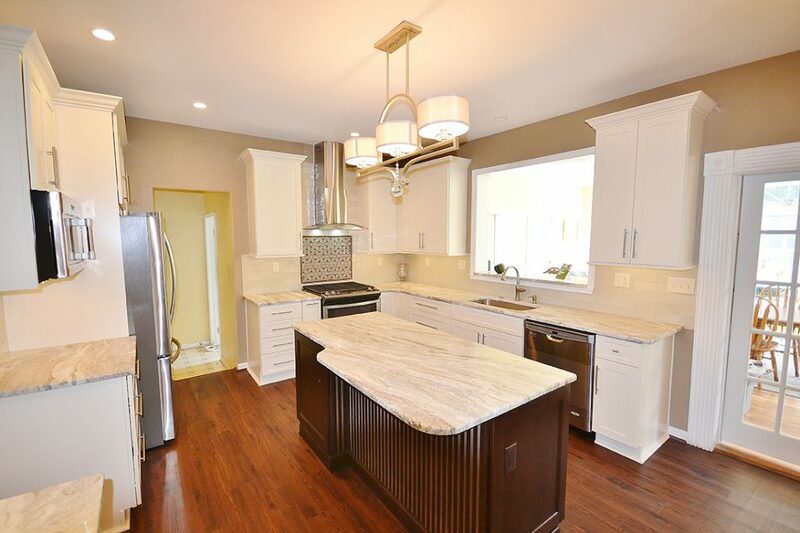 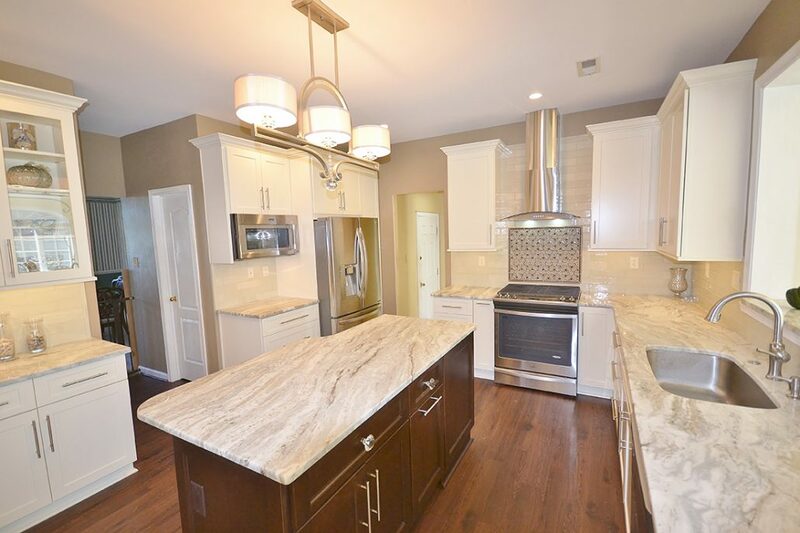 New stainless steel appliances were the final touch and turn this kitchen into a modern, functional kitchen.